Orthodontic braces are a traditional and effective way to correct teeth affected by a variety of alignment issues such as gaps, overcrowding, or crookedness. Sure, it’s true that many people think of these braces as being unsightly, but with a variety of colored bands to choose from, and even available in a clear/translucent style, they can be as flashy or as conservative as your personality desires. Braces are mounted by placing metal bands around the molars and then bonding a clear or metal bracket to the front of each tooth. Each bracket is then connected with a metal wire and secured with rubber bands. Over time, the wire is tightened to pull the teeth into perfect alignment. 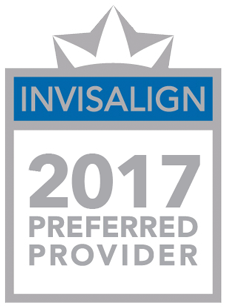 Treatment times usually fall between 12 and 24 months, but may vary depending on the severity of your alignment issue. For orthodontic braces in San Rafael, choose North Bay Dental for the highest quality care. Not all braces are metal. There are several options that are more invisible or at least transparent, and still do the job of straightening your teeth and aligning your bite. In general, clear braces and traditional metal braces function in the same way. The difference is in the material the brackets are made with. Ceramic braces are made of composite materials. 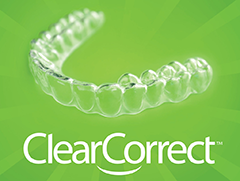 They come in varying levels of transparency so you can have ceramic braces that mimic the color of your natural teeth. The patient to the right is searing ceramic braces. It may be possible for you to have successful orthodontic treatment if some teeth are missing, depending on your circumstances and your treatment goals. Orthodontic treatment may be able to close the space of a missing tooth, or may be able to create or save sufficient space for a replacement tooth/teeth. Consult with Dr. Rodriguez to discuss what is right for you. Can I get braces if I have crowns or root canals? It may be possible for you to have successful orthodontic treatment if your teeth have crowns or root canals. Consult Dr. Rodriguez for answers that are specific to you and your circumstances. Can I drink soda if I have braces? Whether in braces or using another type of orthodontic appliance, patients should limit their intake of soda pop (even diet soda pop), some juices and some sports drinks. Soda contains acid that can weaken tooth enamel. Some juices and sports drinks contain a lot of sugar. Drinking excessive amounts of any liquids with sugar and/or acid could lead to cavities. It’s best to consult with Dr. Rodriguez about what kinds of soft drinks and juices are permissible for you while you have on braces, Invisalign®, ClearCorrect® aligners, retainers or any other kind of orthodontic appliance. Dr. Rodriguez’s goal is to keep your teeth healthy so you have a great result from your orthodontic treatment.